My desk got completed destroyed when we moved – completely. 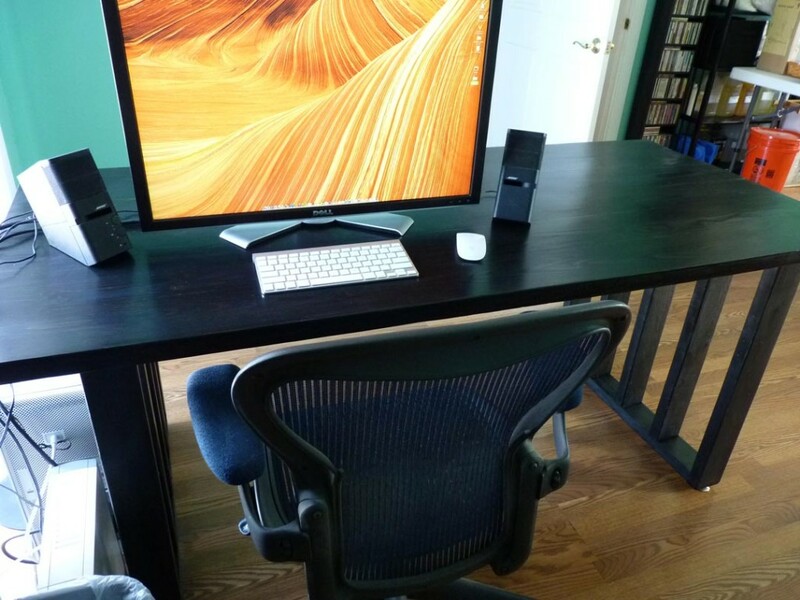 I needed a new desk because the Sam’s Club plastic folding table just wasn’t cutting it. I needed something that was sturdy – no wobbling with every keystroke – was simple, and large! 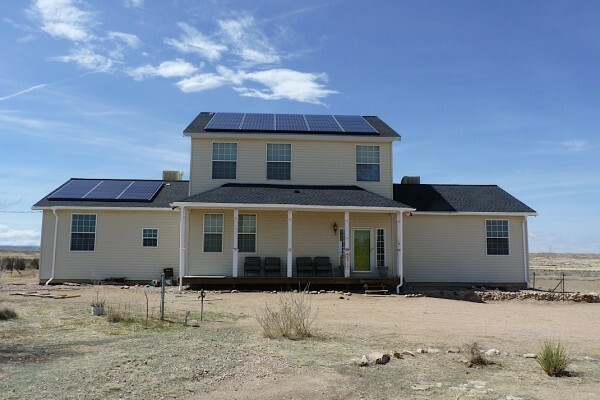 I decided to build my own. 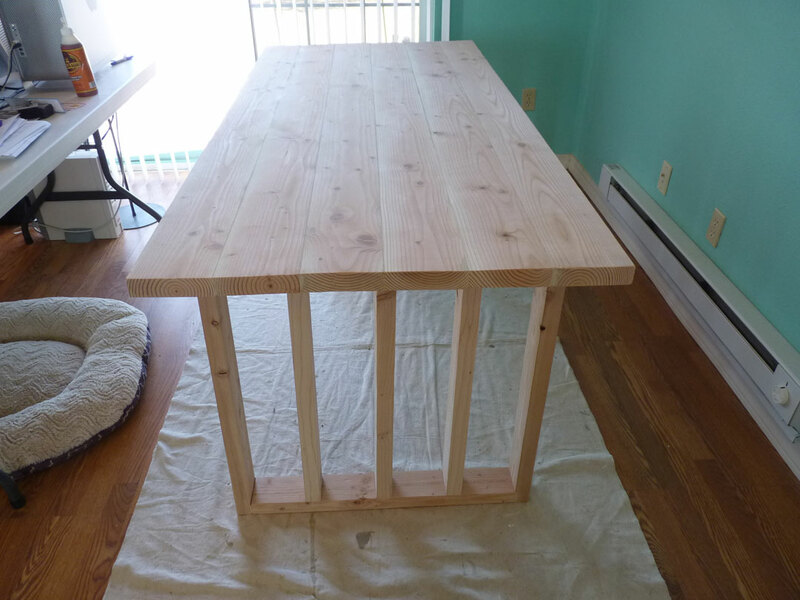 there are a lot of woodworking plans on the internet, but I was looking for something simple. If you can find then already in a 6 foot length no cutting is required. Otherwise cut six boards to 72 inches in length. Sand, sand, sand! 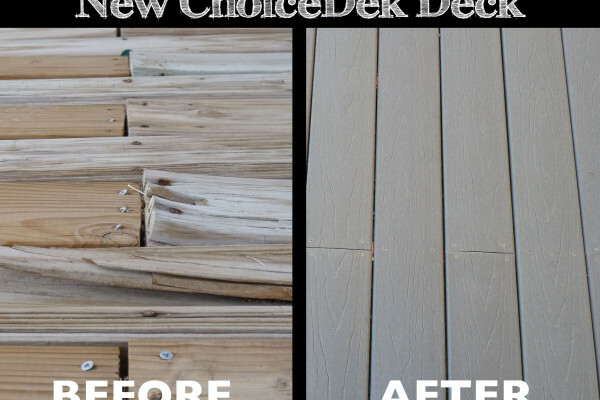 Sand all your boards til smooth (or as smooth as you want them if you are going for a more rustic appeal). I bought the cheapest lumber I could find, so I did A LOT of sanding. Next time, I’m splurging on nicer wood. You will need to attach each of the 6 foot 2×6’s to each other along the edges. Best to lay these out on the floor first to try and match the edges, and in my case the warp of each board. 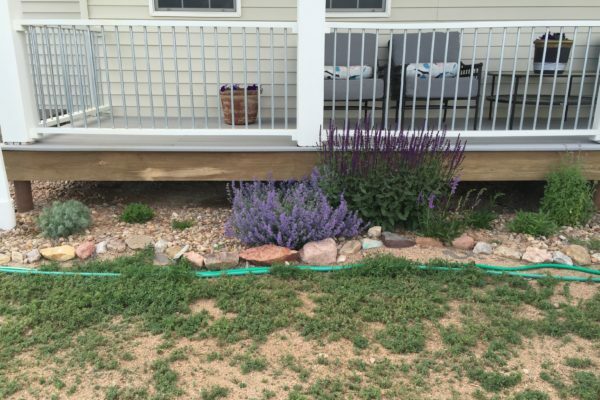 Unless you have a planer, you are not going to have perfectly smooth top or sides to the boards. So work with them it get them as close as possible to level and smooth. 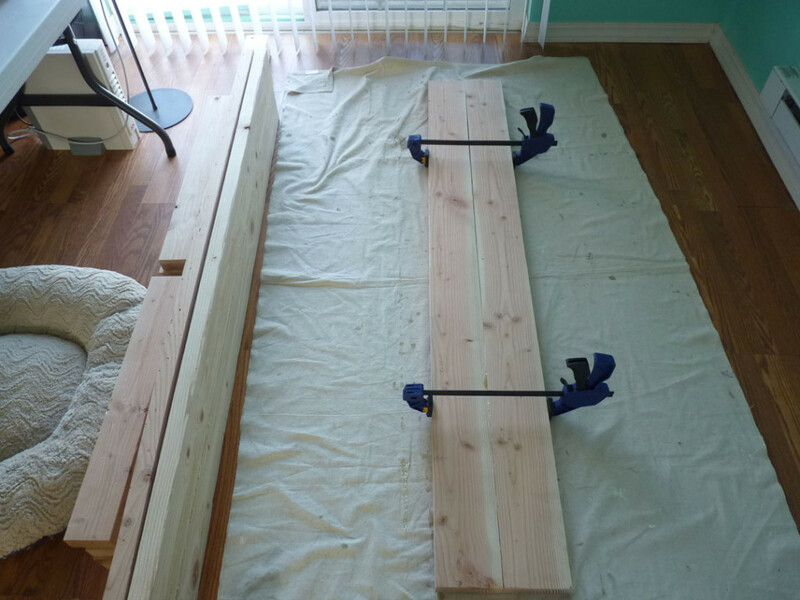 I am assuming here that you know how to use a Kreg jig and how the boards attach to each other. If you do not, just do a quick internet search for Kreg jig and there are a ton of videos out there showing you how to use it. 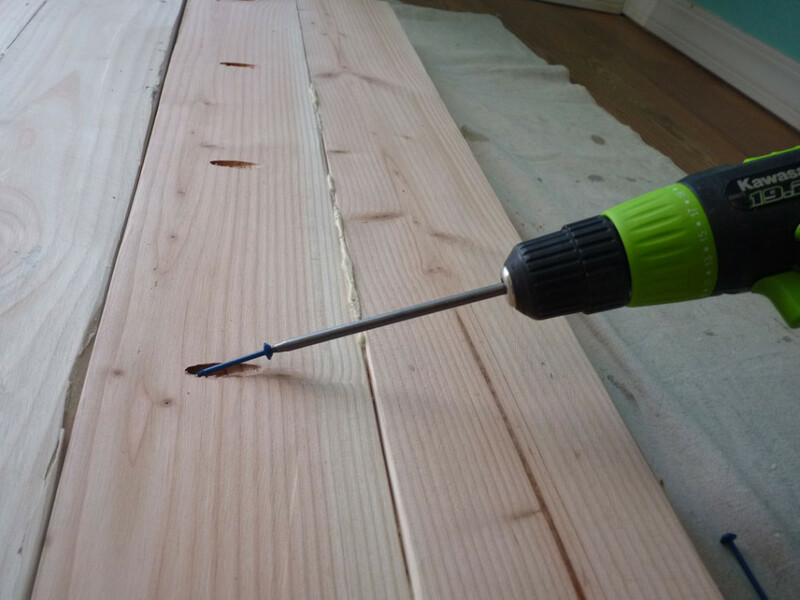 Using your Kreg jig, drill the holes to attach your first board to the second, After the holes are drilled, apply a bead of wood glue to the edge to be attached. Align your boards, clamp them together and using your Kreg screws, join the two boards. It really helps to have an extra pair of hands to do this part. Two of my glued boards are below, but I am drilling the holes for attaching the next board with the Kreg jig. Drill the holes about 6-6 inches apart. As you can see, Tigger was right there supervising the whole operation. After all, this would be her new sleeping spot when finished! The Kreg screws will help even out the boards a bit by pulling the two boards tightly together as you screw. It will not however cure all your boards ills, but that’s where the wood glue helps out to hold them together. Repeat for each board, until you have all of them attached together. 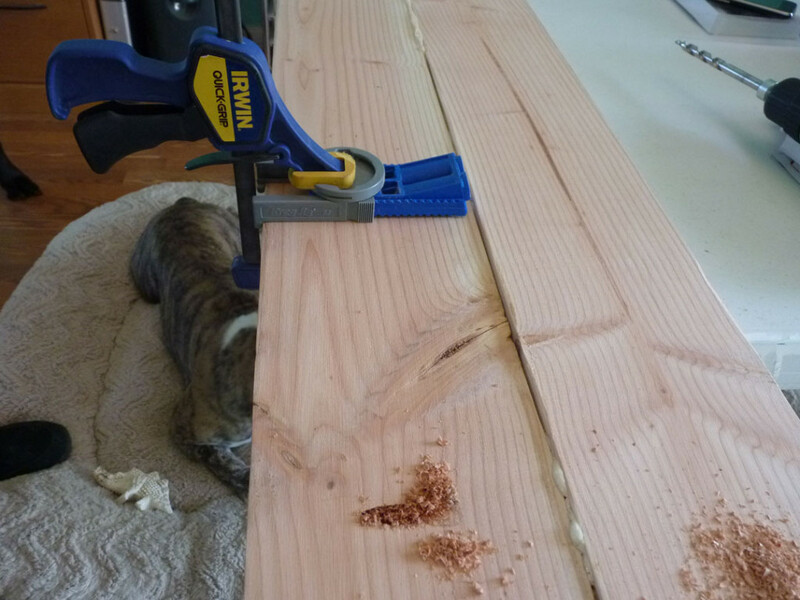 After you have all the boards attached, fill in any holes, knotholes, or spaces between the boards with wood filler. Don’t worry about getting it smooth because once the filler has dried you will sand it again until smooth. I used my orbital palm sander with 150 grit sandpaper and it came out really smooth! Below are the assembled leg boxes and the top after wood filler but before sanding. Next position there inside rails within the square box and and attach, with two screw through the top and bottom rails, each inner rail. Countersink each screw slightly. Fill in the side nail holes with wood putty and sand everything smooth. I didn’t get a picture of the leg assemblies completed before I attached them, but as you can see below, the two longer boards are on the ends, with a top and bottom short board and short boards spaced in-between. 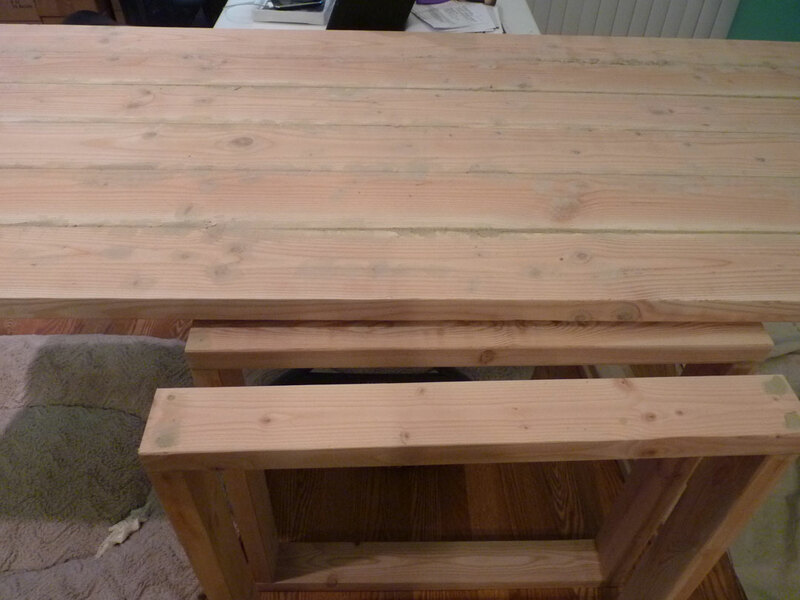 Lay the top of the desk on the floor with the bottom side facing up. 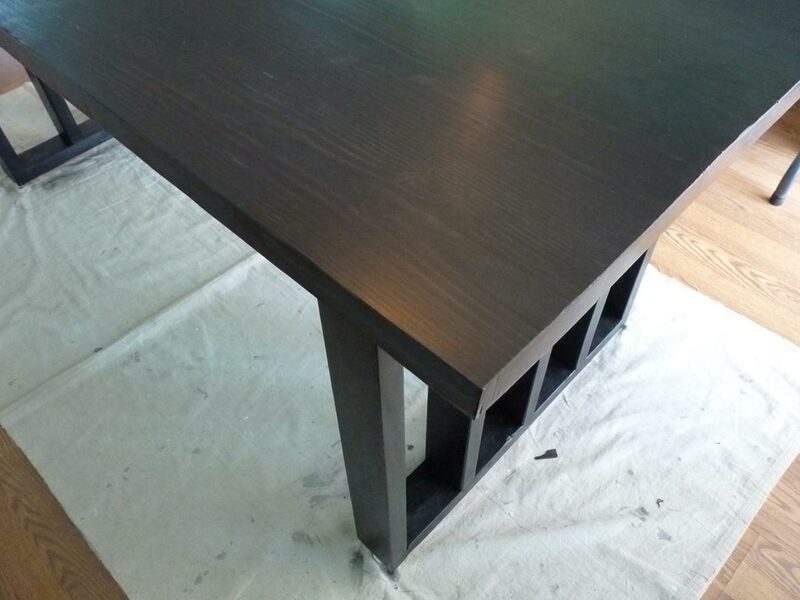 then take each leg assembly and place approximately 6 inches from each end and about 2 ½ inches from the front and back edge of the desk. Once you have the legs positioned, attached the leg to the top with two screws in each section of the leg – 4 sets of 2 screws. To make the legs as sturdy as possible, do not screw in a straight line, but instead zigzag back and forth across the 2×4. The top and legs have been sanded smooth and ready for finishing! If you have uneven floors like I do, you will want to put leg levelers on each corner of the two legs. Even if you do not need leveling, I would highly recommend some sort of leg/glide at each corner to protect your floors. 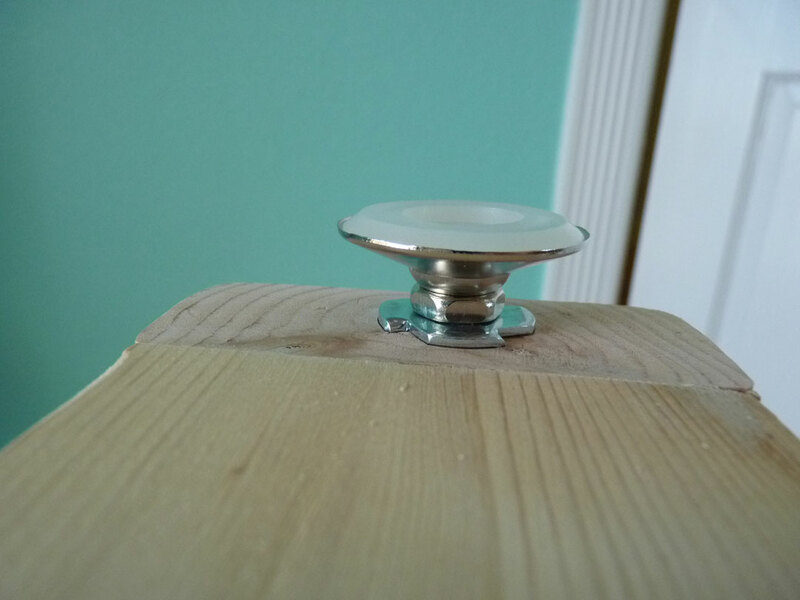 Otherwise the 2×4 bases will be in direct contact with your floor, and remember you have screws there. Better to keep that board off your floors. 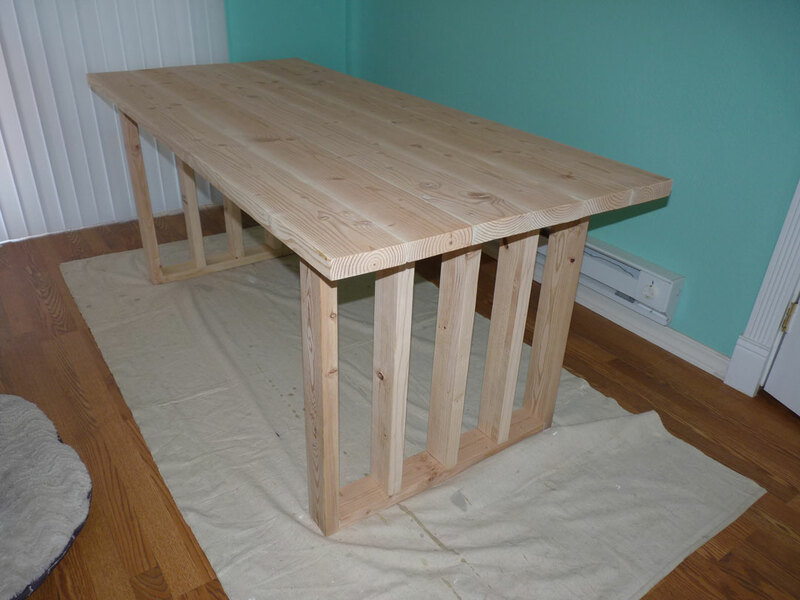 Flip the desk over onto a drop cloth and you are now ready to pre-stain condition the desk. 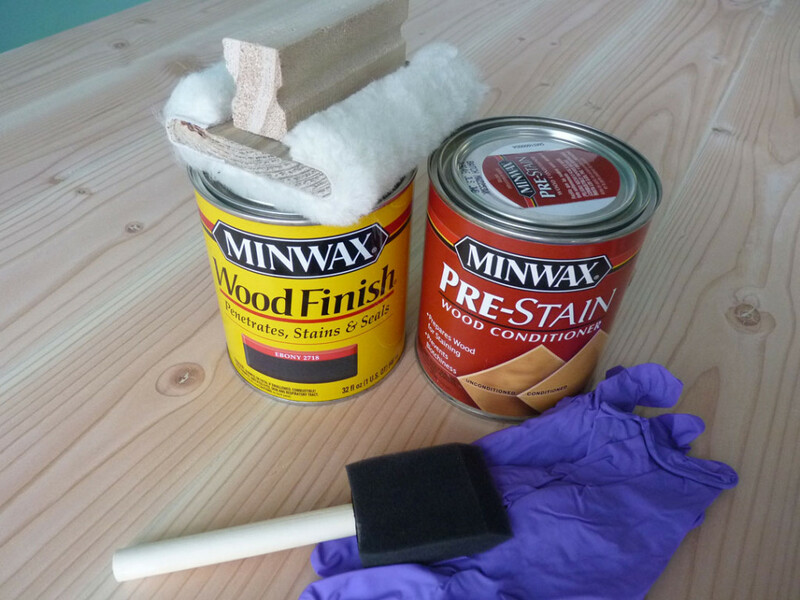 Pre-stain Conditioner helps your wood absorb the stain more evenly and more completely. It’s a quick easy step, that you don’t want to skip. 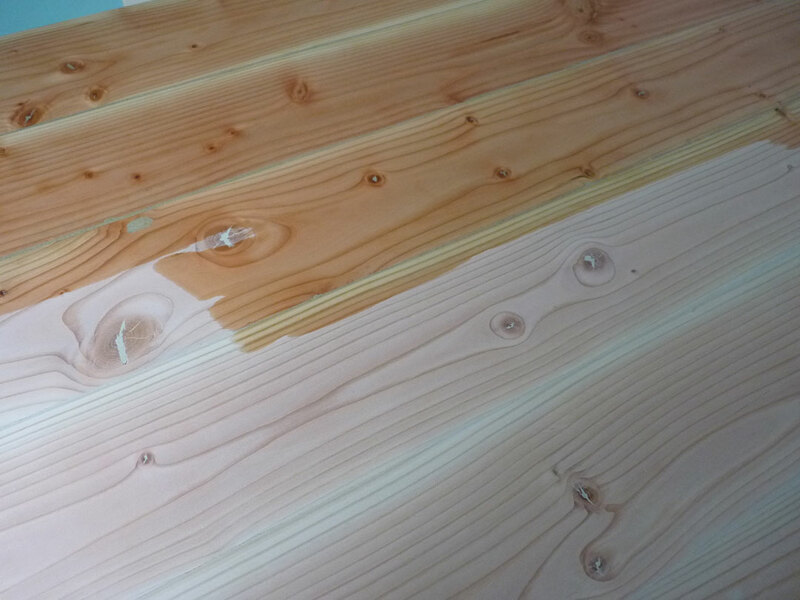 Wipe the pre-stain conditioner onto the wood. 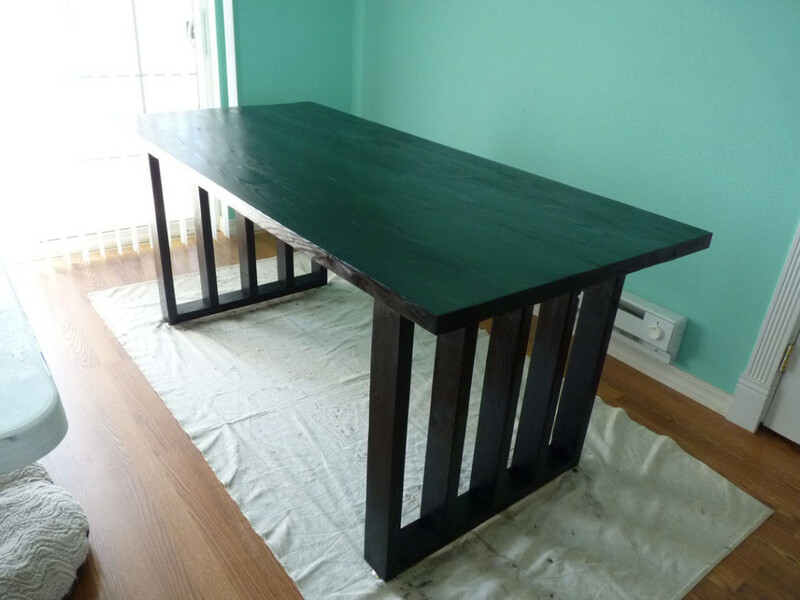 The wood will color change slightly as the conditioning oil penetrates. Let the pre-stain conditioner dry. 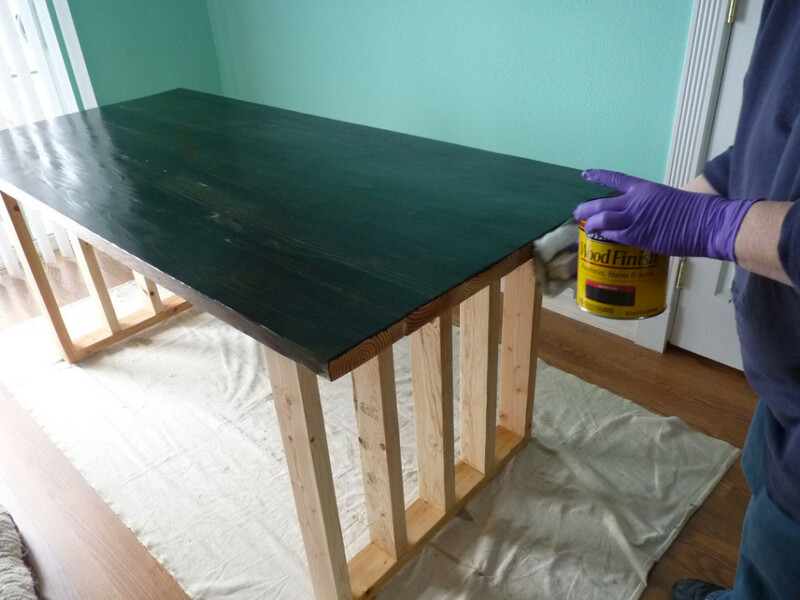 The manufacturer recommends staining within 4 hours of pre-stain application, so don’t pre-stain then go to bed and try to stain the next day! I used MinWax Ebony Wood Finish and applied it with a lambswool applicator. I love this applicator. It absorbs a lot of stain and lays it down evenly. 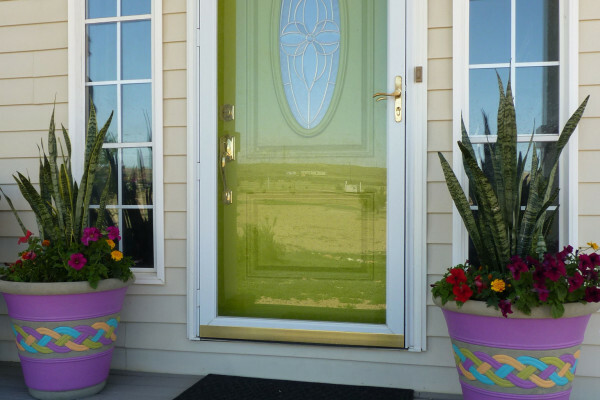 Splurge and buy one – they are only $5 at Home Depot. I put on the first coat, let it set for about 20 minutes and wiped. Note: Never let stain dry on your wood! 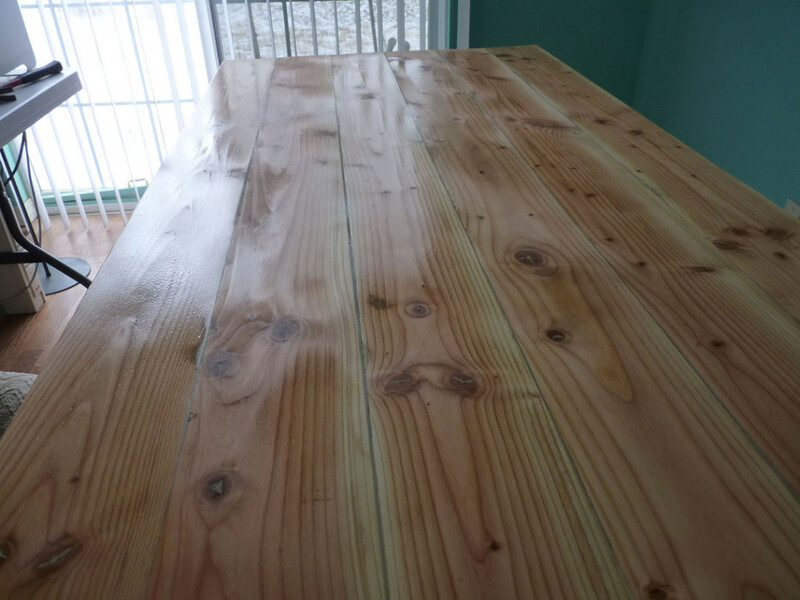 After the first coat I was not loving all the orange pine grain showing through, so I did another coat, waited 20 minutes and wiped. 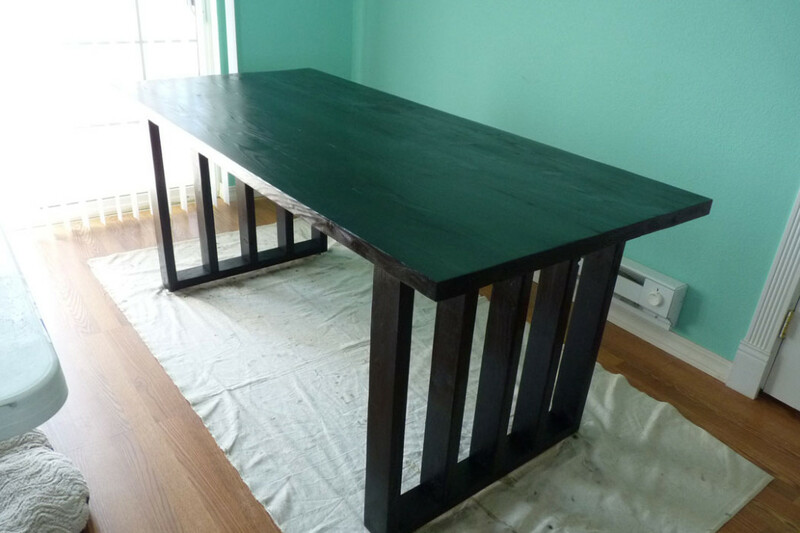 Better, but I wanted a really dark ebony, so I did a third coat. That did the trick. 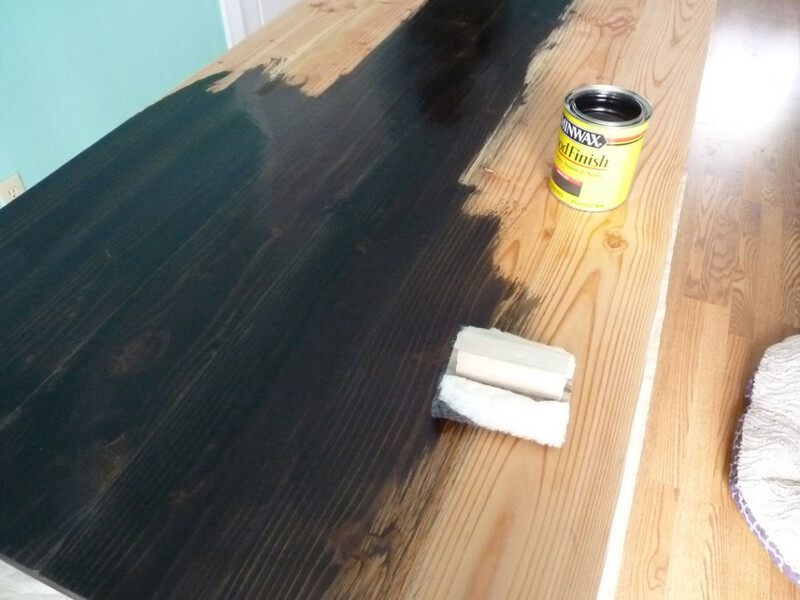 After you have the color you want from your stain, let it dry completely. I waited 48 hours just to be sure everything was absorbed and dry. I chose a water based polyurethane because I was having to work indoors during our deep freeze that had temps below freezing for 7 days! I applies 4 coats of the poly per manufacturers instructions. I love the finished product. It’s a little bit rustic and a little but rock and roll. 😉 Bob’s already requested one for is workshop and I think I am going to modify the design to use as benches at the kitchen table. The cost of the wood, stain, sealer, screws and leg levers cost me less than $60 and I have a nice big sturdy desk that I love!